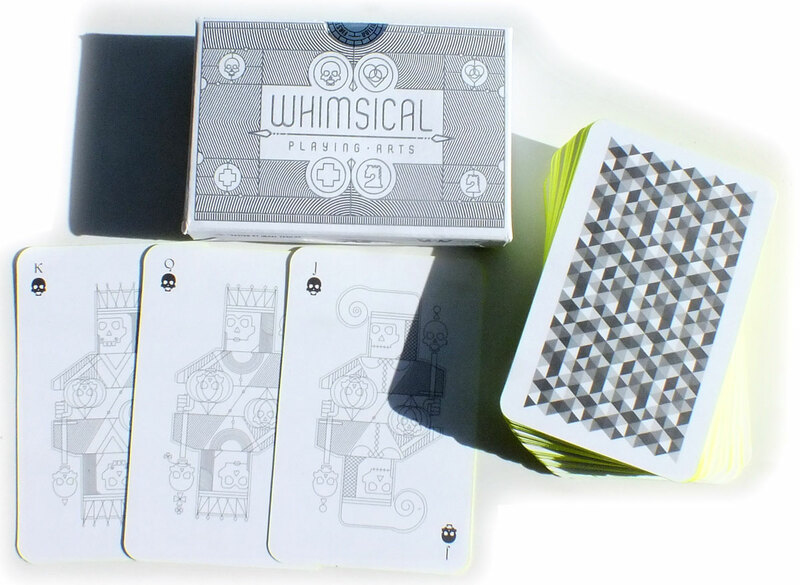 Whimsical Playing Cards were created by designer & illustrator Oksal Yesilok from Istanbul, Turkey in 2016. 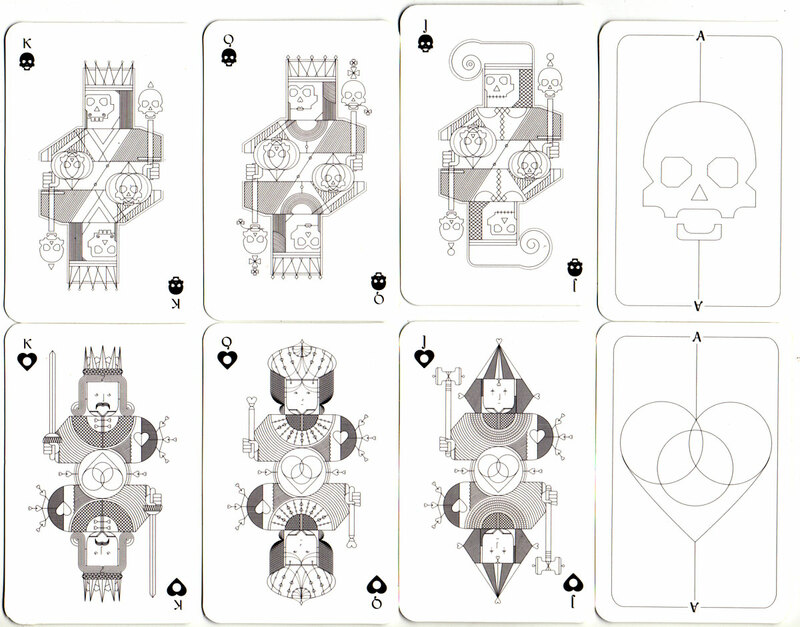 The deck is an original and intriguing re-interpretation of traditional English playing cards produced as vector-based line art in an elegant, minimalist style with precise attention to details. The artist is evidently gifted with a predilection for accuracy and scientific detail in his work. The standard suit symbols have been re-fashioned and given symbolic attributions: ♠ death; ♥ romance; ♦ health & wealth; ♣ war. The back design is a 3D diamond texture. 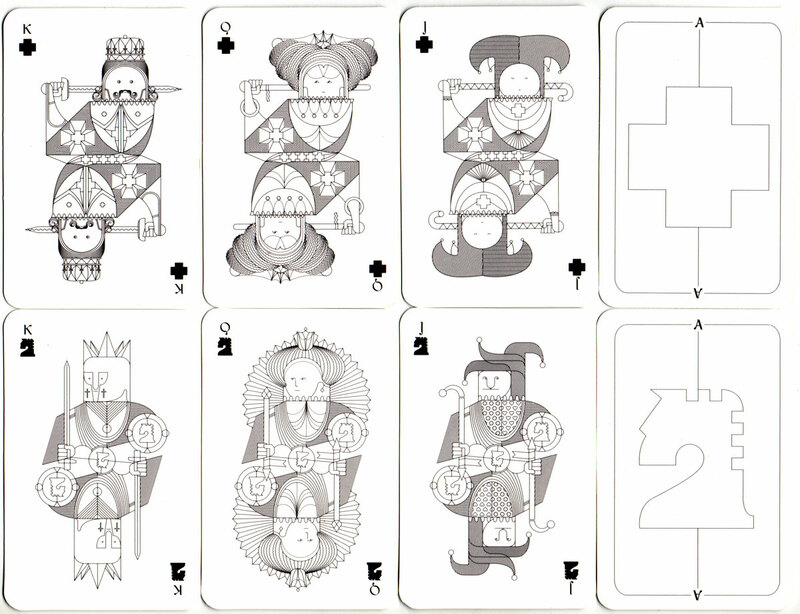 Above: Whimsical Playing Cards designed by Oksal Yesilok, 2016. 52 cards + 2 jokers + 2 extra cards in box. Deck Size 10 cm x 6.5 cm, hand-painted fluorescent edges. Limited edition of 200 decks.